Jim Balsillie, the former co-CEO of BlackBerry and up until today the firm's third largest shareholder has reportedly sold his whole stake in the Canadian company. Bloomberg reports that Balsillie has relinquished his 5.1 per cent stake in BlackBerry, leaving him with no ties to the firm he used to run. Balsillie, in partnership with co-CEO and founder Mike Lazaridis, grew what was up until recently called Research in Motion into Canada's biggest technology firm, but the pair stood down last year with Thorsten Heins taking the reins. There's been no official word on the reasoning behind Balsillie's decision, but it's led some to speculate that he no long feels confident in the business and its plans to resurrect its market dominance. 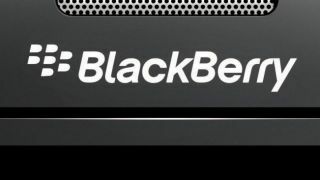 Of course BlackBerry would counter that the firm remains positive that its new BlackBerry 10 operating system will drive a revival, but this news could well cause concern among investors. We approached BlackBerry for comment, but a spokesperson told us "we don't comment on holdings of individual shareholders".